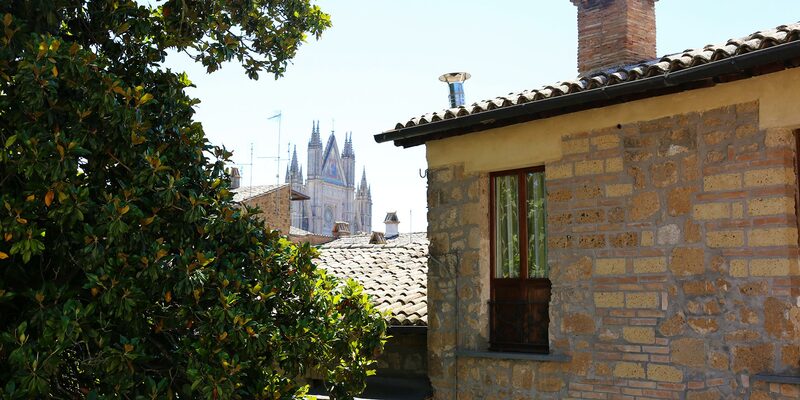 We are in the heart of Orvieto’s historic centre, just 200 meters from the Duomo and a five-minute walk from the most visited spots in Orvieto. In case of any questions, please call us on +39 0763 341909 or write to us at [email protected]. From the A1 motorway: take the Orvieto exit, then follow the signs for the centre of Orvieto, until you see the signage of our hotel. From the E45 Perugia-Todi highway: follow the signs for Todi and Orvieto (SS448 and SS205). Get off at Orvieto station, on the Florence-Rome line. Opposite the station, you will find the connection to the historic centre of Orvieto by funicular and shuttle. In front of the train station you can find the funicular, which takes you to the historic centre of Orvieto, directly to Piazza Cahen: the ticket for the funicular costs € 1.30 each way and includes the shuttle to reach the city centre’s main piazzas. Alternatively, from Piazza d'Armi, the free shuttle to the historic centre leaves every 20 minutes.